It is hard to believe that the Cadillac Escalade debuted 20 years ago. It wrapped itself in Cadillac luxury and was promoted as the first full-size luxury SUV, when it made its grand entrance at the Pebble Beach Concours d’Elegance in August 1998. The 2018 Cadillac Escalade faces more competitors than it used to, as more manufacturers like Nissan, Toyota, Lexus and Infiniti see the huge market available for luxury family haulers. The Lincoln Navigator, Mercedes and Land Rover used to be the Escalade’s primary competitors. The first Escalade rolled off the assembly line in Arlington, Texas, on Feb. 8, 1998, and VIN 001 is being kept at the GM Heritage Center as an example of a vehicle that truly changed the marketplace. While the Chevrolet and GMC Suburbans were the big family vehicles at the time, Cadillac really upped the luxury factor, wrapping the seats in high-grade leather and using premium finishes. A huge step forward was making the ride smoother and less truck-like. The Escalade was the first full-size luxury SUV to offer Magnetic Ride Control, the world’s quickest-reacting suspension system making it more responsive and easier to handle. Cadillac also made sure that the Escalade was loaded with its latest technology. It was outfitted with LED headlights back in 2009. Some vehicles are still catching up to that technology 10 years later. In 2009, the Cadillac Escalade also was the first to debut a full-size luxury hybrid. The Escalade has never compromised on performance or spaciousness. The 2018 Cadillac Escalade offers a powerful V-8 with 420 horsepower. While the Escalade is now getting stiff competition from other models, it still has more than respectable sales numbers. It has lead the segment in sales for 15 of the last 20 years. Globally, there are more than 836,000 Escalades. 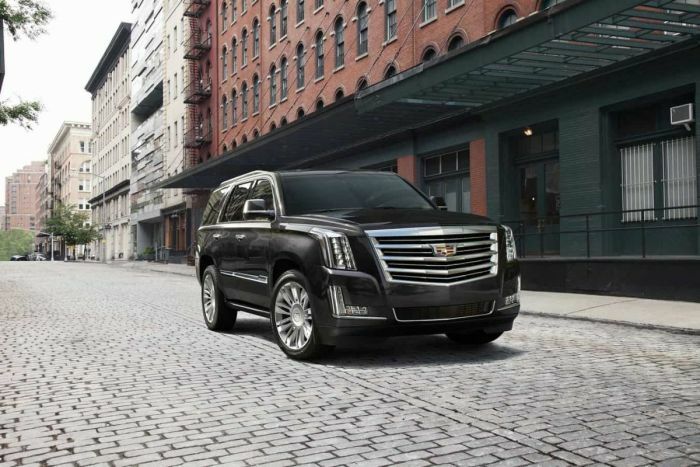 Since debuting 20 years ago, the Escalade has been redesigned and upgraded a number of times. It is now in its fourth generation. The vehicle’s performance has improved with each generation. The 2019 Cadillac Escalade will offer more power and better fuel economy. The 1999 version got a whopping 15 mpg, while the 2019 will get 23 mpg.